Mumbai: Radiologists across the state of Maharashtra will be taking to the streets, as MSBIRIA ( Maharashtra State Branch of IRIA) will be organizing a protest rally at Azad Maidan on 22nd June,2016 morning 11.30 am to show their opposition to unnecessary harassment that occurs with the PC-PNDT Act . The rally is expecting participation from around 2000 radiologists in the state, who will be seen together protesting the ” Draconian Provisions” of the PC-PNDT Act and the unnecessary harassment that occurs in the name of the said act. Radiologists have been showing their opposition after on Pune based doctor, Dr Ashutosh Jape was suspended by the authorities on the account of “Technical Error” with no explanation what error the doctor had committed. “IRIA HQ is absolutely in support with Maharashtra state chapter of IRIA and if this issue is not resolved amicably at the earliest, then IRIA would call for PAN India token strike of a day and then indefinite strike till justice is served to its members,” Dr Bansal added. Kudos to radiologists association for taking the necessary step. Doctors all over India should protest ideally against draconian act that has been instrumental in harrassing wven the most genuine persons in the profession. If Doctors all over India don’t take bold actions now after uniting then soon good medical professionals would become an extinct species and lead to deterioration of good people in the Society.India as a country would be no longer liked by good competent individuals. 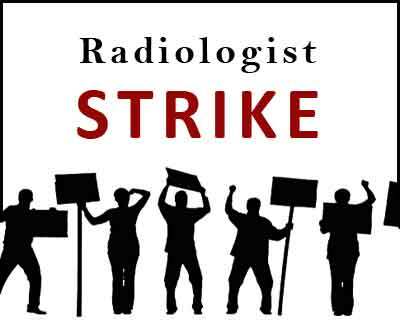 We are all with Maharashtra radiologists. May God’s blessings make the movement successful and The Act is amended to avoid harrassment of good individuals and to ensure pregnant Indian women don’t die on roads for want of timely efficient diagnodis and treatment.